For more than 35 years, the Coalition has developed and implemented humane, cost-effective solutions to New York’s homelessness crisis. Scan the timeline below for highlights of our programs and landmark litigation, and click entries to learn more. Swipe through the timeline to view our impact from 1980 - 2014. 1980 Police conduct street sweeps around Madison Square Garden for the DNC Convention. 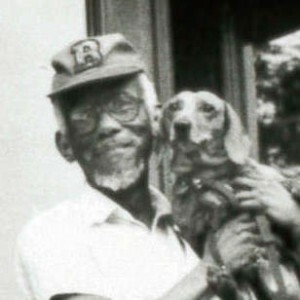 1981 Callahan v. Carey Consent Decree establishes the right to shelter; CFH incorporated. 1982 Eldredge v. Koch extends right to shelter to women. 1983 McCain v. Koch filed to give the right to shelter to families. 1994 StreetWatch v. National Railroad Passenger Corp.
2007 Bloomberg launches Advantage program. 2008 Settlement ensures right to shelter for homeless families with children. 2009 Bloomberg administration proposes families pay “rent” for shelter. 2010 CFH files enforcement order. 2011 Bloomberg ends Advantage program, litigation follows. 2013 Ruling on shelter eligibility rules. The founders of Coalition for the Homeless file the landmark Callahan v. Carey class-action lawsuit, arguing for a legal right to shelter for homeless men under article 17 of the New York State Constitution. The plaintiffs are homeless men who had been denied access to the few emergency shelters in existence. 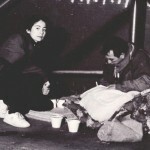 In December 1979, a New York State Supreme Court judge rules in favor of the plaintiffs and orders the City and State to provide shelter to all homeless men. After police begin clearing homeless people from the area surrounding Madison Square Garden to “clean up” the area for the Democratic National Convention, St. Francis Church begins letting those displaced sleep in the churchyards. A group of advocates, fighting for their rights to stay there — including Ellen Baxter, Kim Hopper and Robert Hayes — first form the Coalition for the Homeless. The City and State of New York entered into a landmark consent decree in Callahan v. Carey, guaranteeing decent emergency shelter to homeless men in New York City and setting basic standards for municipal shelters. The Coalition is designated as the court-appointed monitor for shelters for homeless adults. Months before the consent decree bearing his name is signed, Robert Callahan, a homeless Korean War veteran, is found dead on the streets of Manhattan near the Bowery. The Coalition for the Homeless is fully incorporated as a 501(c)(3) in March of 1981. Homeless New Yorkers start showing up at the Coalition’s doors asking for help, and the Crisis Intervention Program is born. Coalition co-founders Ellen Baxter and Kim Hopper release the groundbreaking study, “Private Lives, Public Spaces,” documenting the lives of homeless men and women on the streets of NYC. 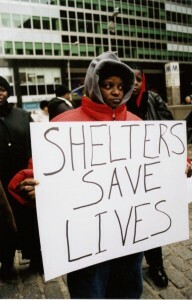 The Coalition files Eldredge v. Koch to extend legal right to shelter to homeless women. The case was eventually consolidated in the Callahan v. Carey consent decree. The Coalition opens its Washington D.C. office, which later becomes the National Coalition for the Homeless. 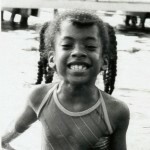 Building on the victories in the Callahan and Eldredge cases, the Legal Aid Society files McCain v. Koch, a class action lawsuit that argues that, under the New York State Constitution and statutes, the City and State are obligated to provide decent shelter to homeless families with children. New York State establishes Homeless Housing and Assistance Program — one of the few programs nationally focusing not only on the provision of housing, but also delivery of services to tenants. 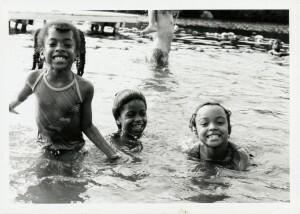 In the summer of 1984 the Coalition opens Camp Homeward Bound in Harriman State Park — the first summer sleep-away camp designated exclusively for homeless children. The Coalition’s landmark federal lawsuit Pitts v. Black ensures the right to vote for homeless New Yorkers. The case is brought against the State and City Boards of Election on behalf of homeless New Yorkers residing in shelters, hotels, or on the streets who were not permitted to register to vote because of the lack of a home address. Before trial, a consent decree permitting homeless people in shelters to vote is entered into. In October 1984, the federal district court orders election officials to permit persons living on the streets to register to vote. The decision in Pitts v. Black gives homeless people in New York some of the strongest voting rights protections in the United States. The Coalition files a lawsuit, Klostermann v. Cuomo, which seeks permanent housing and support services for thousands of former patients of New York State psychiatric institutions who were made homeless. In response to a homeless woman starving to death in Grand Central Terminal the Coalition opens the Grand Central Food Program, bringing meals to homeless people where they are, every night of the year. The program soon becomes the largest mobile soup kitchen in New York. The Coalition files a lawsuit, Wilkins v. Perales — the first of several legal challenges against the City for unlawfully operating large mega-shelters with more than 200 beds. The case, brought on behalf of a group of homeless persons residing in municipal shelters, seeks to compel the State to enforce several of its own regulations regarding the operation of homeless shelters. Specifically, plaintiffs seek an injunction ordering the State to prohibit a shelter from maintaining a capacity of over 200 persons. At the time more than 1,400 men are bedding down in a single drill floor in one City-operated shelter. 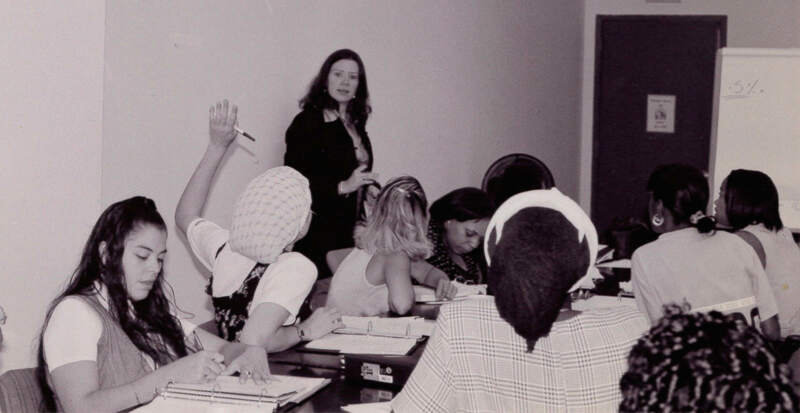 In early 1985, the State Supreme Court holds that the State had wrongly given a de facto waiver to the City of the regulation limiting the size of the shelters. Subsequent lawsuits in the early 1990s lead to the downsizing of several large armory shelters. In an effort to have a stronger presence in State matters, the Coalition opens its Albany office. In the McCain v. Koch case, the New York State Supreme Court’s Appellate Division, First Department, rules that homeless families with children in New York City have the legal right to shelter. The Coalition files the Baby Jennifer v. Koch lawsuit, which involves a group of several hundred healthy infants, known as “boarder babies,” who were living in hospital wards simply because public officials claimed they could find no foster homes for these infants. 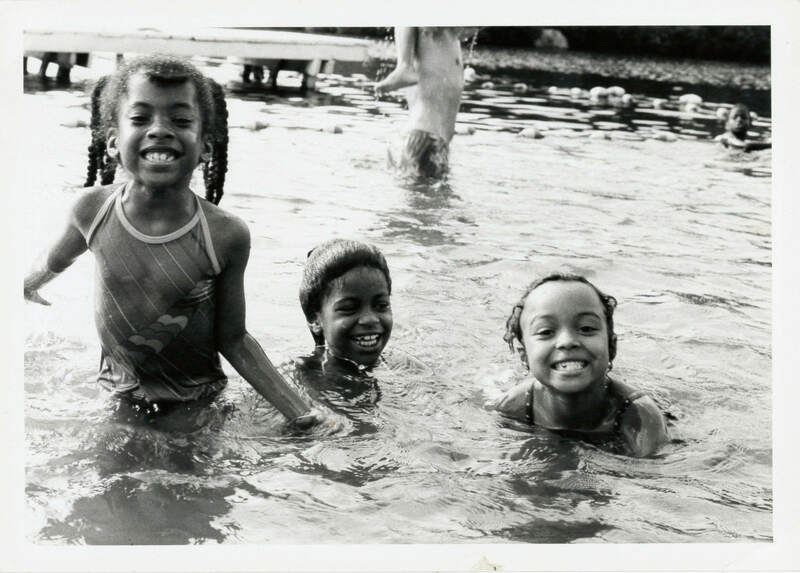 A final judgment by consent mandates that the City develop sufficient foster care placements with families and cease leaving children in hospitals. After corrupt and abusive landlords are found guilty of hiring thugs and drug dealers to scare tenants out of an Upper West Side complex of three residential brownstones, a court orders the buildings turned over to the Coalition. The Coalition returns as many of the original tenants as possible to their homes, and uses any vacancies to provide housing with supportive services to homeless single adults. The new project, named Coalition Houses, is slated to open in 1988. The Coalition creates the Rental Assistance Program, a pilot program giving homeless families a two-year rental subsidy and case management services, so that they can become independent by the end of the program period. Mayor Koch commits to 15,000 units of affordable housing for homeless families and individuals. The Stewart B. McKinney Homeless Assistance Act is signed into federal law, marking the first major federal legislative response to homelessness. Following the 1984 Klostermann case, the Coalition files two other lawsuits (Koskinas v. Boufford and Heard v. Cuomo) seeking to expand protections for people living with mental illness facing discharge from public and private hospitals. Doors of Coalition Houses re-open to provide permanent housing for homeless single men and women. The Coalition files the Mixon v. Grinker lawsuit, demanding that medically-appropriate housing — including, at a minimum, private sleeping accommodations and private sanitary facilities — be provided to all homeless persons in New York City who are seropositive for HIV. According to the suit, conditions in municipal shelters and on the streets endangered persons whose immune systems are compromised by AIDS. The lawsuit leads to improved emergency housing for homeless people living with HIV/AIDS. New York’s homeless shelter census drops by 20% — roughly from 26,000 to 21,000 — over the course of the year. Mary Brosnahan succeeds Robert Hayes as Executive Director of the Coalition. Coalition creates Scattered Site Housing Program for people with HIV/AIDS, to help fight discrimination against AIDS victims by housing them in private market apartments throughout several buildings. David Dinkins is sworn into office, launches “Alternative Pathways” to combat homelessness. The first NY/NY Housing Agreement and Housing New York Capital Investment Plan create 26,000 units of housing for homeless and low-income New Yorkers. The City is forced to end the use of welfare hotels that do not comply with the city regulations by the Legal Aid Society. The New York/New York Agreement, a joint State-City initiative, is signed by Mayor Dinkins and Governor Cuomo and — by creating 3,800 units of permanent supportive housing — is the largest effort to date to create housing with on-site support services for homeless individuals living with mental illness. Coalition begins providing job training to victims of domestic violence, marking the start of our renowned First Step Job Training Program. Bridge Building opens in East Harlem, providing safe one- and two- bedroom apartments for homeless women and their children. The failure of Mayor Dinkins’ “Alternative Pathways” causes the number of families living in shelter to reach a then-record 6,000. In the wake of Mixon vs. Grinker and litigation surrounding the spread of TB in congregant shelters with HIV, Mayor Dinkins and Governor Mario Cuomo make significant investments in housing for people with HIV/AIDS. The Coalition sues the Orange County Board of Elections for refusing to allow hundreds of homeless residents of the Camp LaGuardia shelter in Chester, NY, to register to vote. 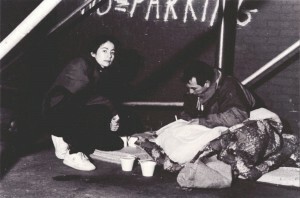 In Coalition for the Homeless v. Jensen, a New York State appellate court rules that the election officials did not take reasonable, good faith steps to determine true residency of these homeless individuals and orders that the applications of all the Camp LaGuardia residents be accepted and their ballots counted for the 1992 general election. The Community Mental Health Reinvestment Act requires that funds saved from the downsizing of the state hospital system through closures and census reductions must be reinvested to create more community-based services. Coalition leaders are arrested with leaders of Broadway Cares, Equity Fights AIDS and ACT UP — along with Rev. Jesse Jackson, actress Susan Sarandon and others — for shutting down Fifth Avenue in front of St. Patrick’s Cathedral in protest of the Clinton Administration’s detention of Haitian refugees with HIV/AIDS in Guantanamo Bay. The act of civil disobedience is successful, and the Coalition helps find housing in NYC for the released refugees. StreetWatch v. National Railroad Passenger Corp. The Coalition works with the Center for Constitutional Rights on the StreetWatch v. National Railroad Passenger Corp. case, which charges Amtrak police with illegally ejecting, harassing, and arresting homeless people at New York City’s Penn Station. 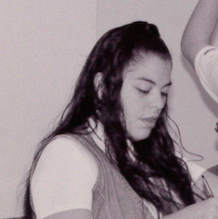 A permanent injunction is subsequently issued in March 1996, which makes a series of temporary restrictions on police treatment of homeless people in Penn Station permanent. The adult shelter population decreases 37 percent since 1989 thanks to investments in permanent housing via Mayor Koch’s 10-year capital investment in affordable housing, the use of Section-8 certificates and NYCHA units, and the NY/NY agreement. Rudolph Giuliani takes office and begins working with Governor Pataki to institute a wide array of rules to eject homeless families and individuals from emergency shelter. NYS requires that homeless children be provided transportation to and from school. Governor George Pataki issues new shelter rules that require homeless people to pay for the cost of shelter; homeless children and adults would be ejected from shelter for failure to comply. The Coalition challenges these rules in court, delaying their implementation. The Coalition launch a major class action lawsuit, Archie v. Grand Central Partnership in federal court, which sought back wages for a group of several hundred homeless individuals who were paid $1 per hour under the guise of a “job training program” while working for the Grand Central Partnership, a Midtown Manhattan business improvement district (BID). The plaintiffs worked as security guards, kitchen staff, and custodial staff, many working more than 40 hours per week. Federal court judge Sonia Sotomayor rules that the BID violated the Federal Fair Labor Standards Act as well as Federal and State minimum wage laws, and orders it pay back wages to the workers. After five years of delays, a settlement is reached in October 2000 in which the Grand Central Partnership agrees to pay $816,000 in back wages to the workers. President Clinton signs the Welfare Reform Act, known as the Personal Responsibility and Work Opportunity Reconciliation Act (PRWORA) into law. Despite economic boom, the City does not commit to create affordable housing for low-income New Yorkers. Homeless population steadily rises. Coalition formalizes its practice of providing emergency grants to New Yorkers about to be evicted from their homes as the Eviction Prevention Program. After months of persistent flooding at a municipal shelter for homeless veterans in Queens and the Giuliani administration’s failure to make necessary repairs, the Coalition files an enforcement action pursuant to the Callahan consent decree. A State court justice orders the City to make repairs to prevent flooding. Under the Callahan consent decree, the Coalition challenges the Giuliani administration’s attempt to implement punitive State regulations issued by the Pataki administration that would deny shelter to thousands of homeless men and women each year. 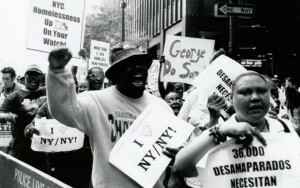 In February 2000 a New York State Supreme Court justice rules for the Coalition and homeless plaintiffs and the punitive rules are blocked pending the City’s appeal. 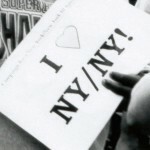 NY/NY II Housing Agreement creates only 2,320 units of housing. Giuliani begins arresting people sleeping on the street if they refuse shelter. Callahan decision blocks Giuliani plan to eject homeless individuals from shelters to streets. The Coalition initiates the Bound for Success After-School program in family shelters. Due in part to the success of the Coalition’s Rental Assistance Program, the City Council begins providing limited funding for other Rental Assistance Programs. Michael Bloomberg sworn in as NYC Mayor on January 1st. Bloomberg’s plan to use unused jails as homeless shelters is opposed by the Coalition and ultimately rejected by the courts. The Coalition moves to 129 Fulton Street and establishes the Downtown Nonprofit Center. 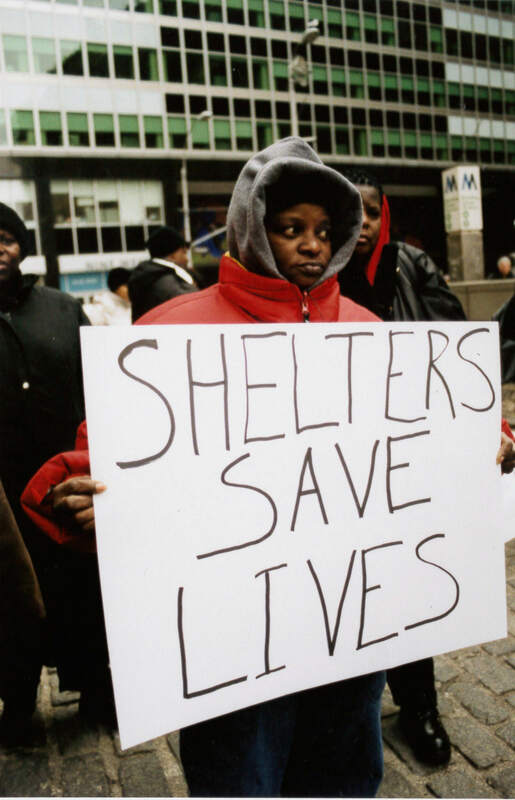 In a significant setback for the legal right to shelter, a New York State appellate court ruled in favor of the Bloomberg administration’s appeal of the February 2000 ruling blocking the City from implementing State shelter denial regulations. In June, Bloomberg announces his five-year plan to end homelessness. 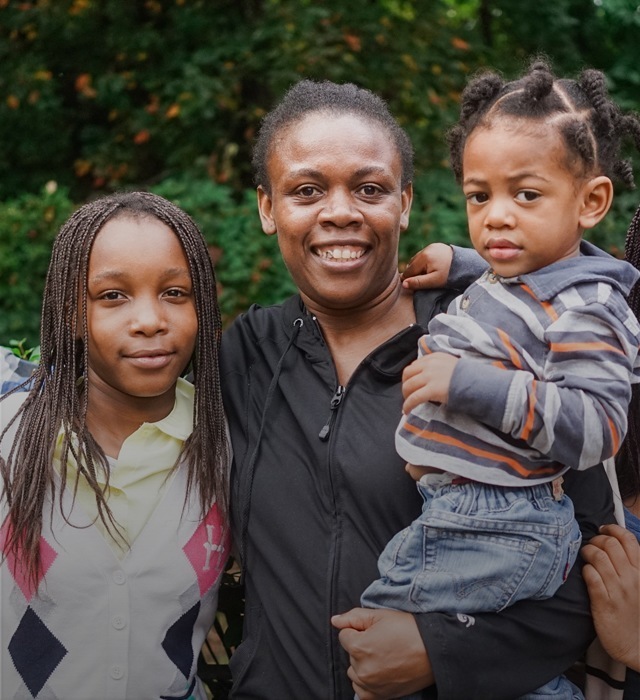 In December the Bloomberg administration announces that it will no longer give NYCHA and Section 8 prioritization to homeless families and will replace it with Housing Stability Plus. NYS establishes Disability Rent Increase Exemption program, which protects low income New Yorkers with disabilities from certain rent increases. The NY/NY III agreement is signed, adding 9,000 units of housing; 7,500 for single adults and 1,500 for families. The Coalition is instrumental in getting Timothy’s Law passed, creating mental health parity in New York State. Under Timothy’s Law insurance companies are prohibited from limiting coverage for mental illness. Seeing the absolute failure of Housing Stability Plus, Bloomberg replaces the program with Advantage, another flawed short-term housing subsidy program. The Coalition expands the Grand Central Food Program to deliver hot meals to people living on the streets of the Bronx, as well as Manhattan. In a major victory for the legal right to shelter, the City and State agreed to a settlement of longtime litigation involving homeless families. The final judgment in Boston v. City of New York enshrines the legal right to shelter for homeless families with children. Paul Wellstone and Pete Domenici Mental Health Parity and Addition Equity Act passes. National Housing Trust Fund established. The Bloomberg administration proposes punitive rules requiring many homeless families and individuals to pay for shelter, in some cases more than $900/month. The Coalition, working with the Legal Aid Society and others, challenge the new rules and, in 2010, successfully win a change in State law to block the misguided shelter proposal. During the winter of 2009-2010 the City fails to provide sufficient shelter for homeless men and women. Following months of reports and first-hand documentation by Coalition shelter monitors, the Coalition files an enforcement motion under the Callahan consent decree. In early 2010, a State court justice orders the City to provide sufficient shelter for homeless adults and to cease the practice of shuttling homeless men and women from one overnight shelter placement to another each night. After State funding is withdrawn, Bloomberg abruptly ends the Advantage rent subsidy program. Working with the Coalition, the Legal Aid Society files a class action lawsuit on behalf of some 15,000 formerly-homeless families who had been promised up to two years of rental assistance under the program but whose subsidies were stopped. Although a State appellate court ultimately rules against the families, temporary court orders help provide eight additional months of rental assistance to the families. The Bloomberg administration attempts to implement new shelter eligibility rules for homeless single adults that, according to City officials themselves, would have denied emergency shelter to thousands of homeless men and women each year. The Coalition, working with the Legal Aid Society, immediately challenge the misguided rules, and the New York City Council files suit based on the Bloomberg Administration’s failure to follow proper administrative procedure in attempting to introduce the new regulations. A State court justice ultimately rules in favor of the City Council, Legal Aid Society and Coalition. With few resources for homeless families to exit the shelter system, the number if children in the family shelter system surpasses 20,000. Hurricane Sandy slams into NYC on October 29, killing 48 people, destroying thousands of homes and leaving whole swaths of the city without power. Even during the height of the storm, the Coalition’s GCFP continues distributing meals to those in need and steps up its emergency relief efforts in the chaotic days following the storm delivering food, blankets and other critical supplies to storm victims throughout the hobbled and blacked-out city. In the initial dearth of any coordinated effort by the City to monitor and ensure the well-being of those displaced by the storm, Coalition staff work around the clock in the field, helping hundreds of evacuees in the makeshift evacuation shelters set up in high schools and colleges, the haphazard and unsafe evacuation shelters crowded into existing homeless shelter facilities, and in dozens of hotels and YMCAs scattered across NYC. The thousands displaced by the storm add to the record number of people already in the municipal shelter system. 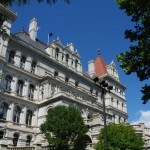 Ruling on the Bloomberg administration’s appeal of previous court decisions blocking it from implementing its proposed 2011 shelter eligibility rules for homeless adults, New York’s highest court, the Court of Appeals, upholds the previous court’s rulings that the administration had violated the City Charter. Homeless population reaches 50,000 for the first time ever. More than 10,000 NYC school kids sign a petition asking Mayor Bloomberg to help the more than 20,000 homeless kids to get out of shelters and into real homes. De Blasio re-instates “Code Blue” shelter for homeless families seeking shelter during freezing weather, reversing the dangerous and much-criticized Bloomberg policy that turned away families from shelter intake during sub-freezing cold. CFH convinces City and State to launch rent subsidy programs to move homeless families and single adults from shelter into permanent housing. Mayor de Blasio moves 750 homeless families in NYCHA apartments. CFH leads “Campaign 4 NY/NY” calling for 30,000 of supportive housing to be built over ten years. Mayor de Blasio initiates a series of new rental subsidy programs (called “LINC” for “Living in Communities”) to assist homeless families and individuals move into permanent housing. After needless delays by Cuomo administration officials, the City was able to launch six separate LINC programs and also made hundreds of federal Section 8 rental subsidy vouchers available to homeless families. CFH leads the ‘Campaign for NY/NY Housing’ calling for a new City-State agreement for 35,000 units (30,000 in NYC) of supportive housing to be built over the next ten years. The de Blasio Administrations commits to funding 15,000 new units of supportive housing for New York City, stating that it cannot wait for the State any longer. The Coalition and other advocates from the Campaign 4 NY/NY Housing, encourage Governor Cuomo to make this a true NY/NY Agreement by committing to 15,000 addition units for NYC and 5,000 units statewide. In his 2016 State of the State Address, Governor Andrew Cuomo commits to fund 20,000 new units of supportive housing – 15,000 in New York City and 5,000 elsewhere in the state – over 15 years. However, the initial $2 billion set aside in the 2016 State Budget was not released in 2016 due to the funds being needlessly subjected to a memorandum of understanding (MOU) to be signed by the Governor, Assembly Speaker and Senate Majority Leader. The Coalition and other advocates from the Campaign 4 NY/NY Housing help weekly rallies throughout 2016 (and into 2017) to urge Governor Cuomo to #SigntheMOU and release the promised funds. As part of the restructuring of the NYC Department of Homeless Services, Mayor de Blasio makes the Coalition for the Homeless the monitors of NYC’s family shelter system. The Coalition has been the court-mandated monitors of the single adult system since 1981. Butler v. City of New York class action settlement ensures people with disabilities are able to meaningfully access Department of Homeless Services (DHS) shelters and services. 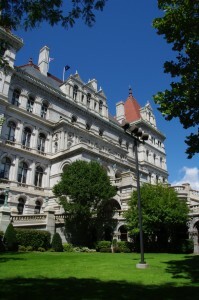 The lawsuit was brought against the City in 2015 by The Legal Aid Society on behalf of homeless people with disabilities, the Coalition for the Homeless, and the Center for Independence of the Disabled in New York, and a settlement was reached in 2017. The settlement will remove barriers to shelter access, ensure that reasonable accommodations are provided, and comprehensively improve the DHS system for New Yorkers with disabilities through an evaluation of the current system and facilities, remediation plans, and staff training – a landmark victory for homeless people. After nearly a year of rallies, weekly protests, and demonstrations by the Coalition and other members of the Campaign 4 NY/NY Housing, the 2017 New York State budget authorized the release of $1 billion in State funds to pay for the first 6,000 new units of supportive housing for homeless individuals and families (of the total 20,000 promised by the Governor in 2016). Thanks to three years of steadfast advocacy by the Right to Counsel NYC Coalition – of which the Coalition for the Homeless is an active member – Mayor Bill de Blasio endorsed a right to legal counsel in housing court in February 2017 and signed Intro. 214-B into law in August 2017, guaranteeing that all tenants with incomes up to 200 percent of the poverty level will have access to free legal representation, and tenants above that threshold will receive brief legal assistance. Coalition launches House Our Future NY campaign to call on Mayor de Blasio to increase the number of permanent affordable housing units set aside for homeless New Yorkers to 30,000 – or 10 percent of his 300,000-unit Housing New York 2.0 plan – including 24,000 units to be created through new construction. The Coalition for the Homeless is unique in providing both lifesaving frontline services and groundbreaking large-scale advocacy. 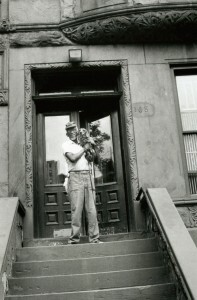 The Coalition’s first legal victory, Callahan v. Carey, established New York City’s right to shelter for homeless adult men – a crucial first step in establishing subsequent victories on behalf of homeless women and children. Since then, the Coalition has won a string of legal victories including securing medically appropriate housing for people living with HIV/AIDS and ensuring the right to vote for Americans without homes. We continue to serve as the court-appointed monitor of the shelter system for single adults and vigorously defend the hard-fought rights we have secured for our city’s poorest and most marginalized. Our large scale advocacy work has established a baseline of human decency and care for those most often marginalized, ignored and forgotten in our society. The Coalition’s direct service programs bring lifesaving support to more than 3,500 homeless men, women and children each day. We provide emergency food and blankets, eviction prevention, crisis services and individual advocacy, permanent housing, job training and special programs for homeless youth. Our mobile soup kitchen delivers hot nutritious meals to 1,000 people living rough on the streets every single night without fail, and our Crisis Services programs help more than 10,000 people each year with a wide array of problems ranging from lost identification to impending eviction to a need for mental health services. We are the place where those who have been turned away everywhere else can come and receive compassionate and professional help. The Coalition is out in the shelters and on the streets every single day, meeting homeless people where they are, and homeless New Yorkers know the doors of our headquarters in Lower Manhattan are always open to them. Our constant frontline presence enables us to effectively amplify the voices of homeless people themselves in fighting for real solutions to homelessness in City Hall and Albany, and our historic role in establishing and defending the rights of homeless men, women and children make our program staff uniquely qualified to help those in need. Simply put, our advocacy informs our programs, and our programs inform our advocacy. This dual focus gives the Coalition its legitimacy as the most trusted source of information for policymakers, academics, the press, the general public and homeless people themselves. The Coalition advances only sensible and fiscally-sound solutions to New York’s crisis of homelessness. Decades of empirical evidence clearly demonstrate that housing-based solutions to homelessness cost taxpayers far less than stopgap emergency measures, and result in homeless individuals and families remaining stably housed for the long term. While the average cost to taxpayers of keeping a homeless family in shelter for one year is more than $61,000, helping that family move into permanent housing by providing a temporary rental subsidy costs less than one-third of that amount. For those with mental illness and other disabilities, the creation of permanent supportive housing units saves New Yorkers $10,000 per person per year.